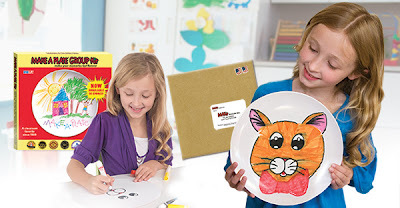 Right now at 8moms, you can get a Make a Plate kit for only $12. These regularly cost $27 and would make a great Father's Day gift (or late Mother's Day gift!)! You'll have to pay $8 for shipping which brings the total to $20, but use the code ff20 to take off 20%, bringing it down to $16.